Open 4 seasons, 4 people max, $125/ night all year long. 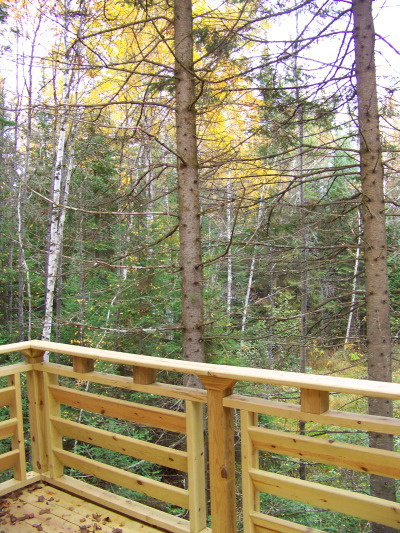 Private acreage tucked away in a rolling pine forest with a tiny fishing/paddle boat lake. Gorgeous natural boulder landscaping decorates our trail sides. Mossy forest floors, and too many animals lurking to count. The layout of the property has been designed specifically to seclude guests so they can enjoy themselves without worrying about disturbing anyone. Our secret cabin "Eleanor" treats people all year long. Built on stilts like a tree house, and in the pines, it has a private campfire area wrapped in a boulder wall. We supply the firewood for free. 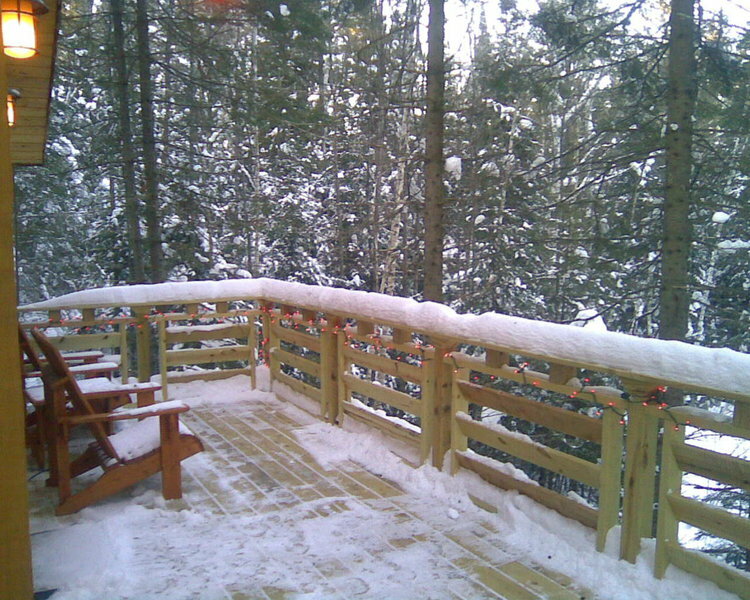 The balcony keeps you close to nature and the fireplace keeps you warm. There is a Queen bed in the bedroom and a bunkbed in the open living space facing the many windows into the trees. So comfy and cozy, a beautiful cabin to appreciate the simple things. 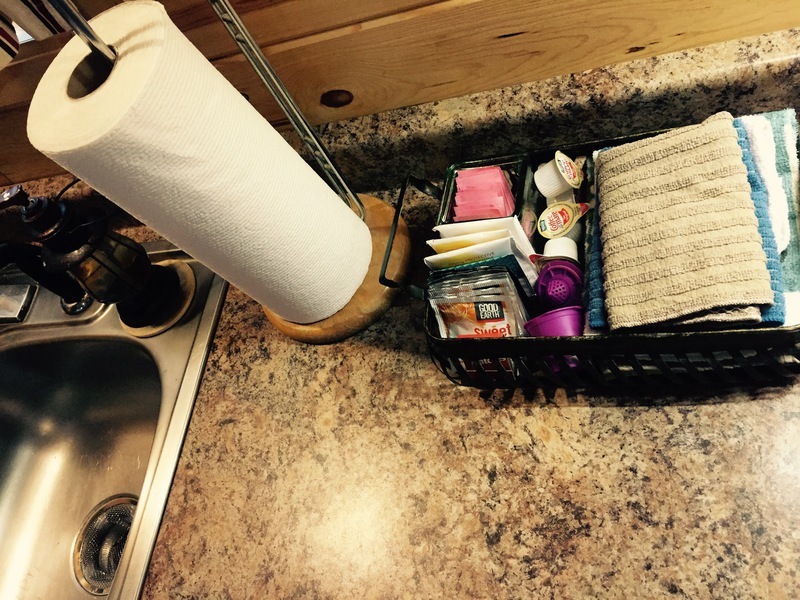 The cabin is stocked well with majority of the goods to keep your outing stress free, such as baking and cooking supplies and all eating utensils to use in the full kitchen: coffee maker/ice cube trays/micro/stove/fridge/toaster/blender. All the linens, comforter/bedding and bathroom/kitchen towels are fresh and provided by us. 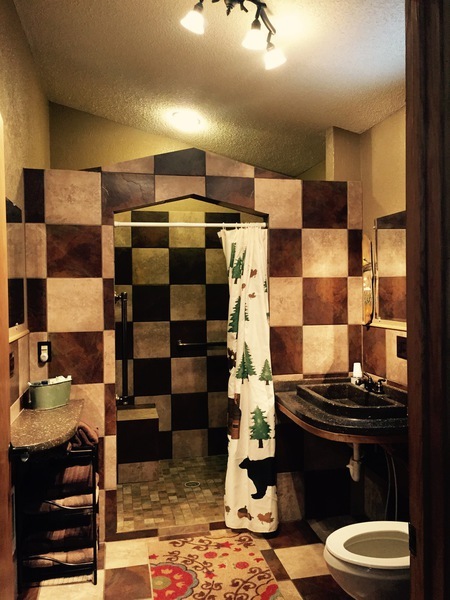 The bathroom is custom made and ADA compliant as well as the layout of the rest of the cabin, yet there is a slight slope outside to get to the front door. During the Winter we outfit with two sets of snow shoes to explore and snowmobiles are welcome as the trail cuts through the resort. Take a walk through the woods to the little lake to relax. There is no other lodging in sight from the cabin so there is not a care to disturb anyone. We encourage people to bring golf carts or ATV's to explore the property. We also have two golf carts for rent and they are a ton of fun to get around the big property on. Just let us know if you are interested:) There are GREAT ATV trails 25 minutes away in White Earth. Free: Boat use, we have kayaks, canoes, and paddle boats, and enough random fishing gear to get you on the lake for awhile! Firewood is free here, we have tons of it, do not bring your own.